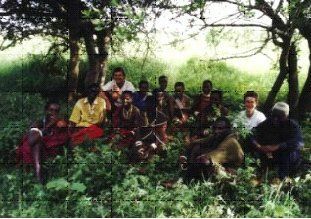 Breakfast and thereafter walk 2 km to Maisaka Village where you visit a Gorowa Tribe Elder Story Teller on how they arrange their marriages; how they treat a girl who gets pregnant before marriage; prayer rituals and their origin. Walk back, lunch, rest and thereafter, walk 1 km to Lake Babati for local canoe rowing while viewing floating hippos. Walk back for dinner and overnight stay. Price: US$ 45/40 per person each of 1/3 persons respectively. Inclusive accommodation, meals, guide, levies; excludes transport, US$ 5.00 local canoe hire per 2 persons, drinks and tips.